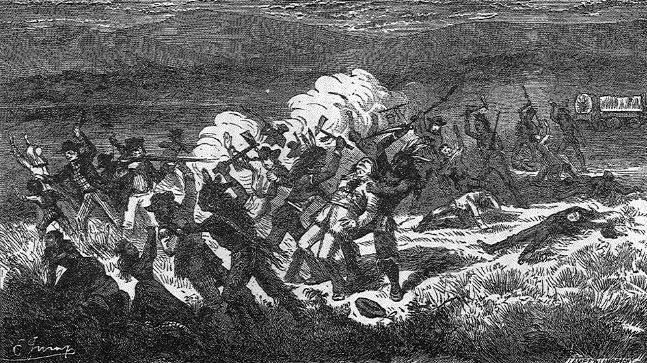 A drawing of the Mountain Meadows Massacre, showing Paiutes attacking the settlers, circa 19th century. 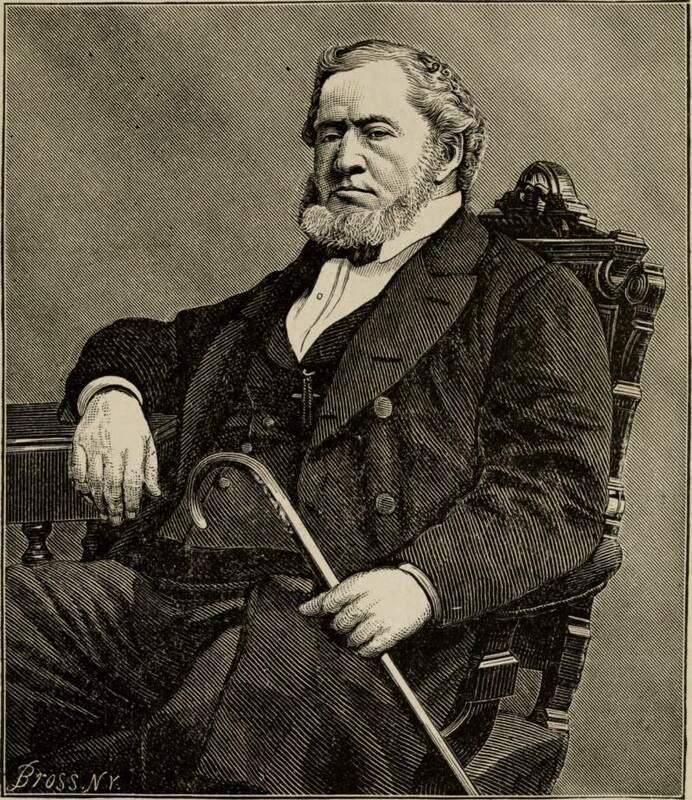 Brigham Young, President of the Church of Jesus Christ of Latter-day Saints, as drawn in 1879 by George A. Crofutt. 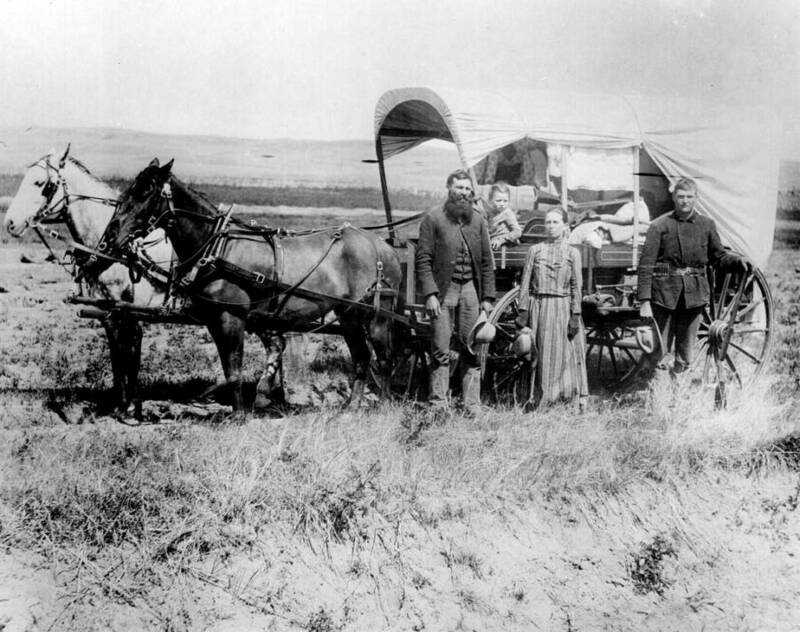 A Covered Wagon, like the ones used by the Baker-Fancher Party, during the Great Western Migration, 1886 in Loup Valley, Neb. 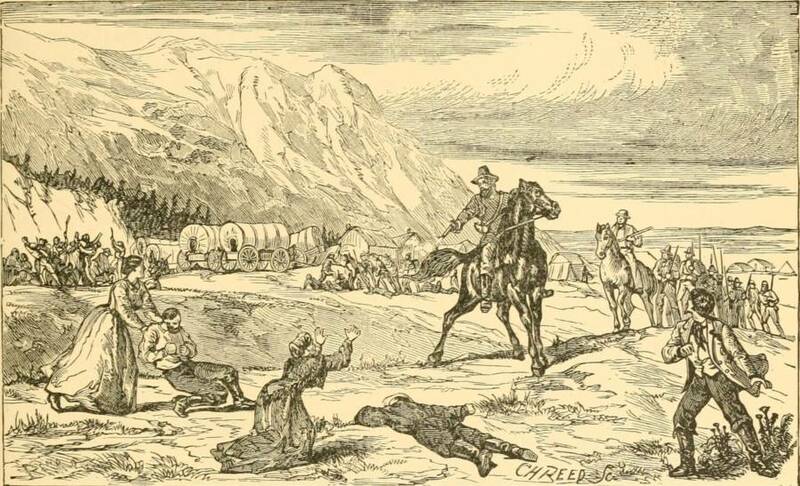 The massacre of women and children, as drawn by Henry Davenport Northrop in 1900. 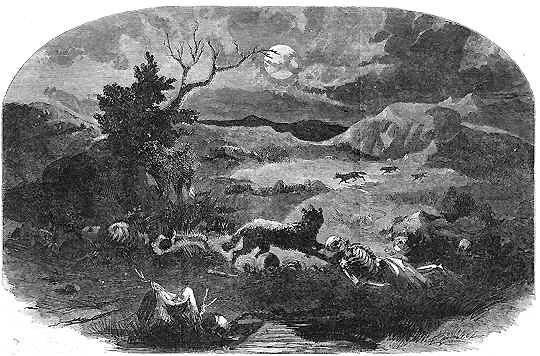 The site of the Mountain Meadows Massacre, where nothing but bones remain, as drawn for Harpers Weekly on August 13, 1859. 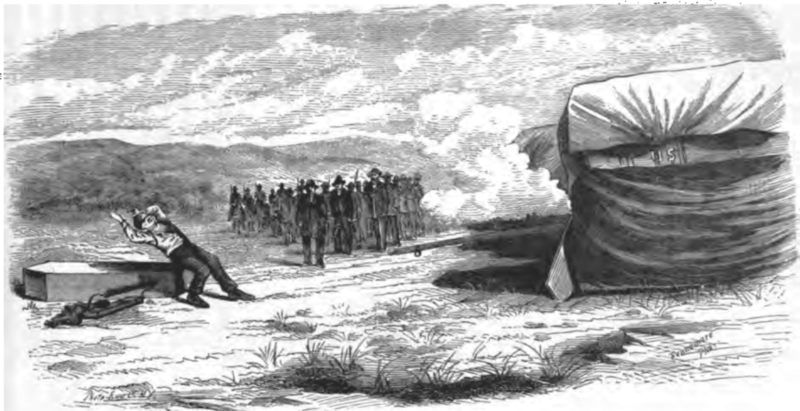 The execution of John D. Lee, as drawn by J. P. Dunn in 1886.